It's been almost a week since teachers at our Lighthouse School received their student iPads and ChromeBooks, and honestly, I'm unsure as to impact the devices have had on teacher instruction or student engagement to this point. To be fair, teachers were given 1 ChromeBook and 1 iPad to pilot in their classrooms. 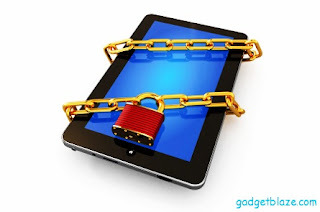 Since these are meant to be student devices, they were set up with student (restricted) permissions. My frequent observation: teachers didn't anticipate that the iPads would be locked down to the point of near-uselessness. With the level of restrictions placed on the iPad (including the inability to download apps), it's no wonder teachers seem disappointed. Wearing my Technology Administrator hat, I fully understand the rationale for the restrictions placed on the devices. Testing the waters, fear of the unknown and all that. However, through the eyes of a teacher, trainer, instructional leader and (by-golly!) tech-enthusiast, I can't help feeling...deflated. Don't get me wrong, the teachers are appreciative of the new technology and are extremely interested in using it to enhance student learning. However, I feel they are spending most of their time getting creative with figuring out how to access the technology rather than having the freedom to allow students to creatively using the device to propagate their learning. Flip the professional development. Give them the devices and guidance first, then provide the hands-on training. See my recent blog post about how I plan to distribute classroom devices next time. Live and learn. Remove the chains by giving them ability to install apps! Our role should be to encourage and support them in how they best want to utilize the devices to promote student learning, not limit and frustrate them. By denying them access to the app store, we are effectively telling them that we don't trust them. This has the potential of fostering a frustrating, negative work environment, which leads to teachers under-utilizing expensive technology, which results in the needlessness of teacher collaboration or forward-thinking. Let teachers have some level of management of student devices. Turn around time is key. Teachers should have them ability to realize a concept or inspiration of theirs with the press of a button. Allow them to install apps on student machines (most likely via the MDM). Afterall, who understands the level of their students' ability better than the teachers? Provide perpetual PD to teachers through the formation of a building tech committee and the advocation of teacher PLNs. Teachers need to know that they are not alone and that they are their best PD. Don't enable, empower. Don't spoonfeed, give them their choice of cutlery. And there you have it. Let us know what you think by commenting below!